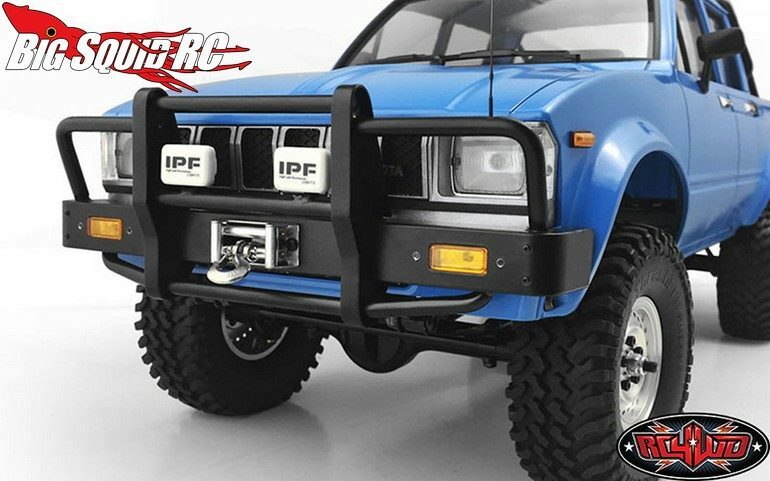 RC4WD Kangaroo Front Bumper For The Mojave II « Big Squid RC – RC Car and Truck News, Reviews, Videos, and More! 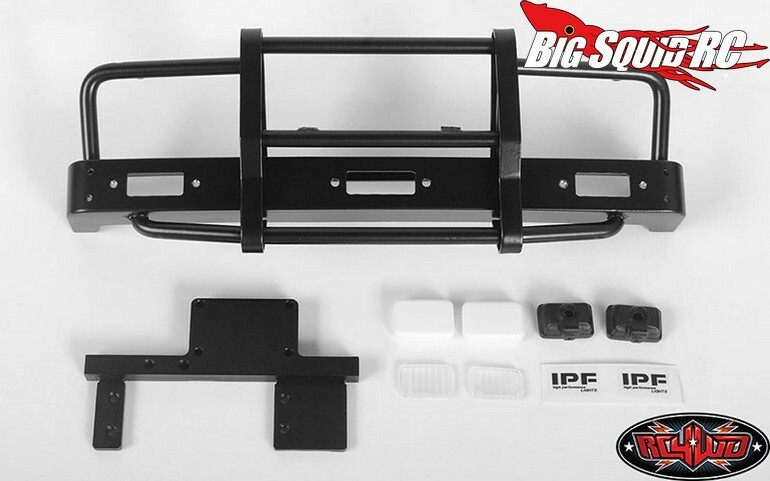 Add a beefy statement to your Mojave II with a CCHand Kangaroo Front Bumper from RC4WD. 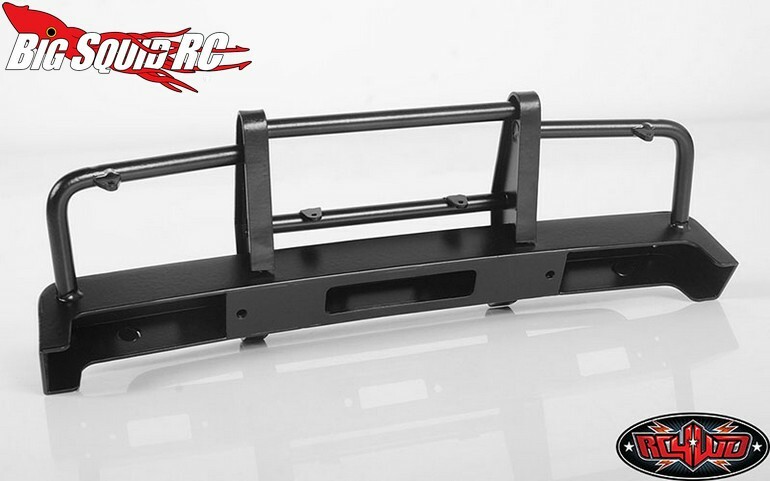 The Kangaroo front bumper is available with or without lights, plus you can get one finished in black or in silver. The bumper itself has been hand welded and is made from CNC machined billet aluminum and stainless steel. Pricing for the bumper ranges from $92 up to $118 with lighting. To get full details and specifications, use This Link to make the jump over to RC4WD’s website.